A recent run round southern, central and northern Africa unearthed a few unexpected plate sightings, which Bloggers may like to share. 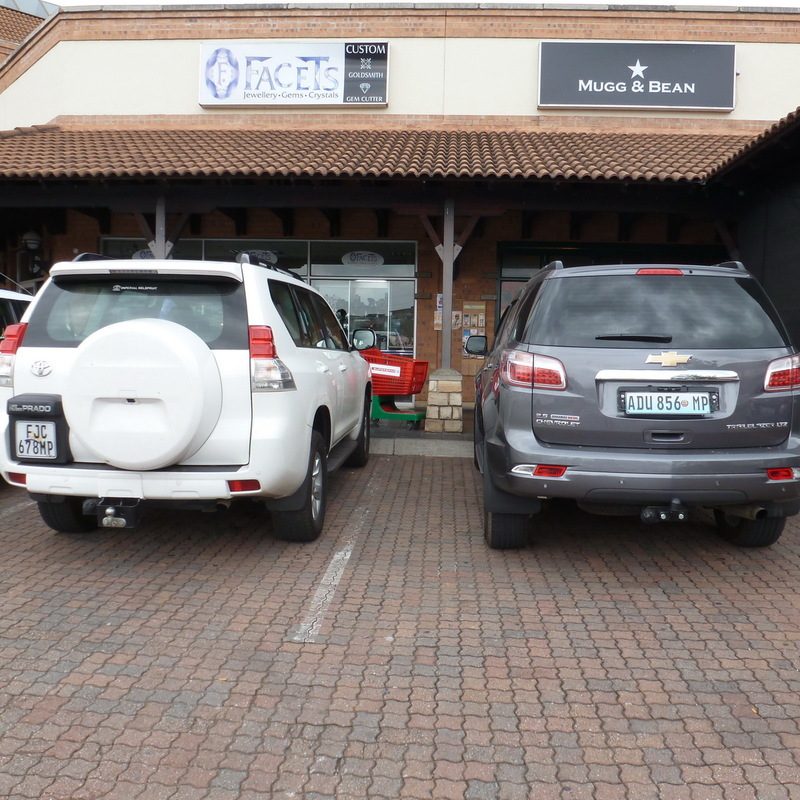 A car-park in Nelspruit, Mpumalanga (formerly Northern Transvaal) presented the remarkable photo opportunity to compare the latest Mozambique plate with the current MP local plate. The background colours of the MOC Maputo Province help to identify them from the mainly black on white South African MP series – but remembering that the two places share a national border, it does seem odd that such similar formats were adopted. MP and MP – Mpumulanga at left and Mozambique (Maputo Province) to the right. The ZANZIBAR Post from this trip is already up on the Blog and the ETHIOPIAN page will come shortly. BELOW: Non. 2013. 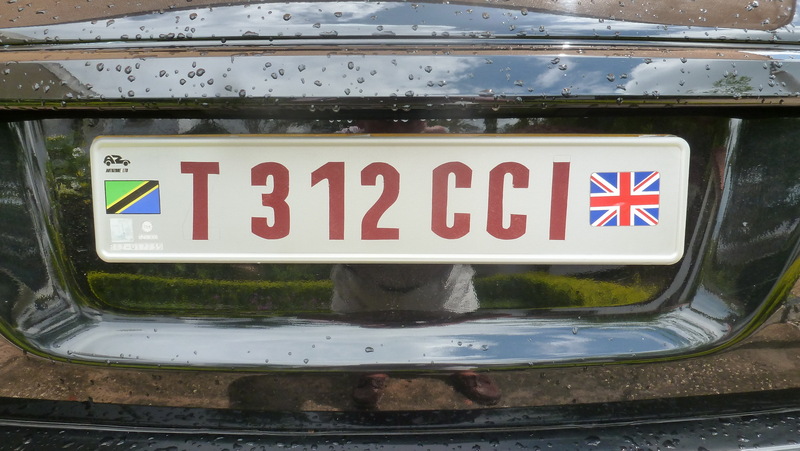 Just leaving Zanzibar for Ethiopia, I glimpsed a new Range Rover parked off-road in a secure compound, carrying a quite new plate type, T 312 CCI . Unusually, the guards on the gate didn’t display the usual paranoia and let me slip in to get a shot. Later, The Venerable Neil found a Google reference to CCI under http://www.homeless-international.org, which seems to pin this hundred-thousand-dollar car to a homeless persons’ charity in Tanzania. Nice design, anyway. T 312 CCI – Identified by Neil Parker and Google, as an NGO in Tanganyika. 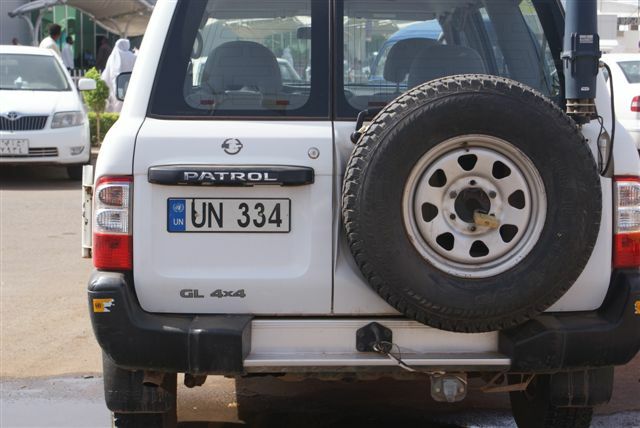 One of the first oddities seen in Addis Ababa – and not surrounded by spooks – was this military vehicle with a good condition plate. At the former palace of Emperor Haile Selassie, now the University Ethnological museum in Addis, was a photo of his 1940s Ford V-8 convertible, on Harar plates. A rotten shot of an old photo, but a rare image of an Abyssinian plate of the period – and from a jurisdiction other than the capital. 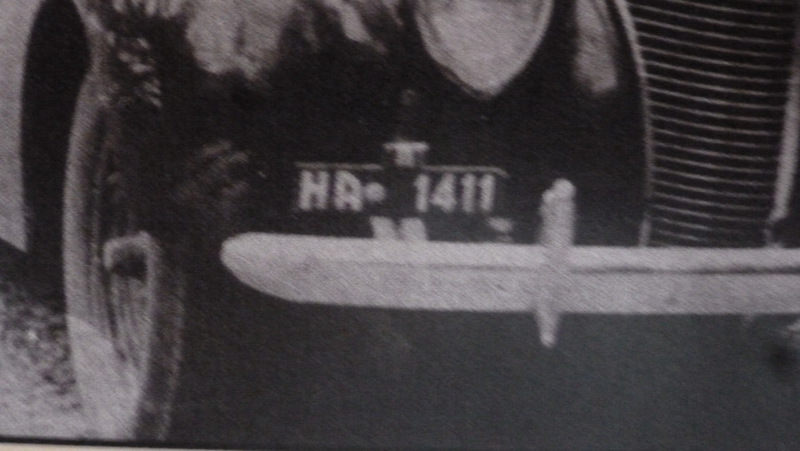 HA 1411 – The characteristic font of early Ethiopian plates…..
BELOW: This was a costly shot. 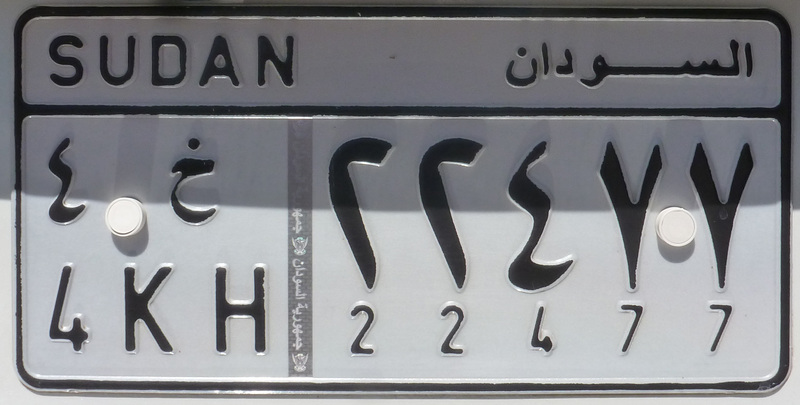 A plate seen up a side-street, from the corner of my eye, through the vibrating window of my 17th.-century LADA taxi, I commanded my driver to stop for a photo-opportunity, believing it to be a Saudi plate in Addis Ababa. Up-close, the delight at identifying my first current-system Sudani was unbounded! However, a bod in a dish-dash thought there might be a security issue with a western pensioner flashing his camera at a parked car, and with many a warning in Amharic (which is not a strong card in my pack of languages) and much waving of his night-stick, he did all he could to obstruct my photo-capture. Within a few minutes, the local police force was upon me, sporting their side arms and arresting both myself and my poor cab-driver, who had come over to try to spring me. Frog-marched a kilometre or so across some open waste ground we reached the police station, a few ramshackle tents with an open fire for the ubiquitous Ethiopian coffee pot. Officers of ever-increasing rank were brought to judge me and my ridiculous story and none were convinced of the innocence of our noble pursuit, although they couldn’t quite see what we might be up to. Eventually, in a fit of diplomatic legerdemain, I presented them with an opportunity to release us without loss of face – or paying the usual dash which overcomes all in most places. I can’t remember how. 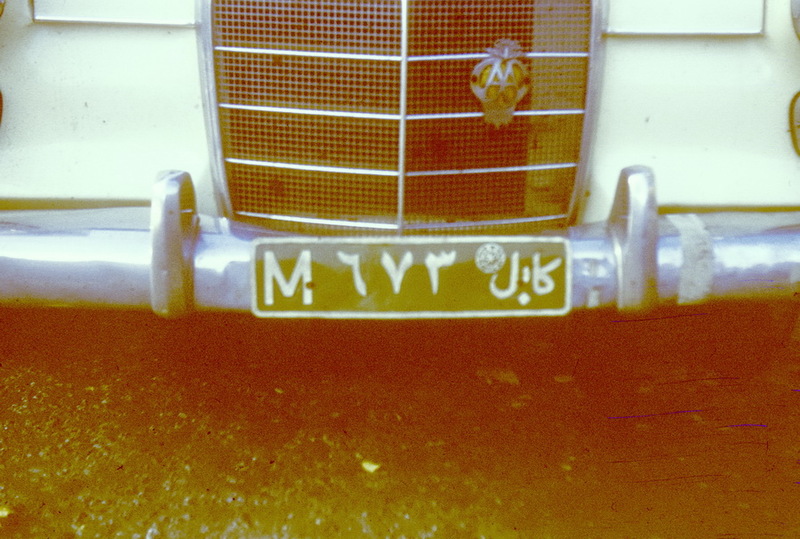 ‘Mowqati’ 673KBL – (temporary/foreigner) in Afghanistan between 1974 and 2004. 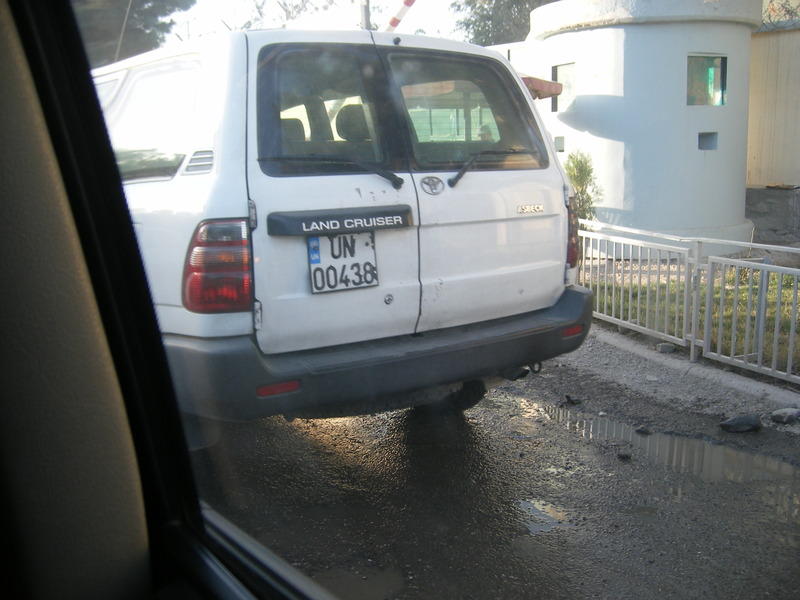 Among the users of this plate type, were non-diplomatic embassy staff. 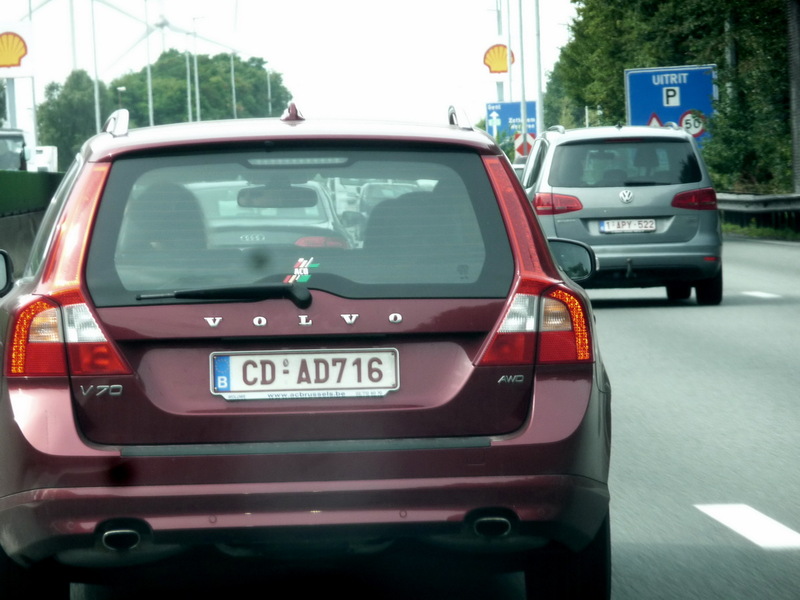 Note this Merc 180, seen in UK, sports an overseas AA badge, once a frequent sighting on used imports to GB. Terry Gray archive. 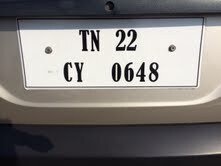 Mike Oldham saw this Tamil Nadu in Cyprus during October 2013!!! 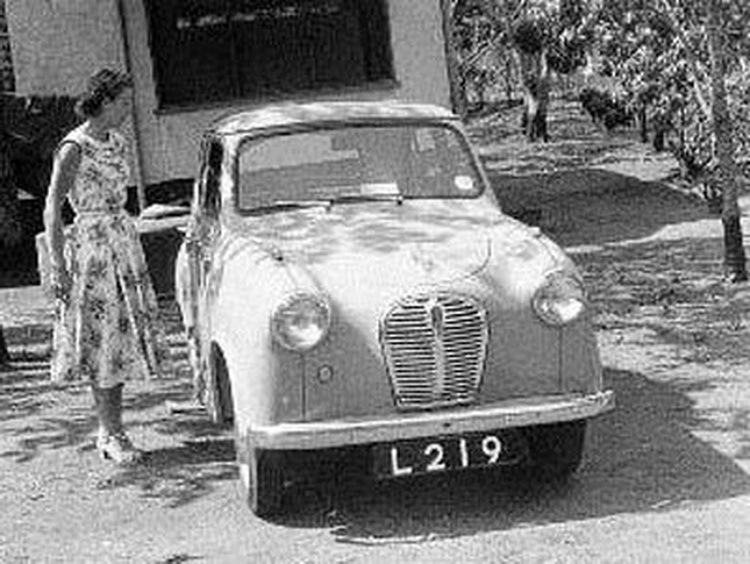 L 219 – This Austin A30 circa 1958, hails from Livingstone, then Northern Rhodesia and now Zambia. In the 1950s, L and 3 numbers in this GB style could just as easily have come from Aden or Cyprus, or Fiji or Labuan! 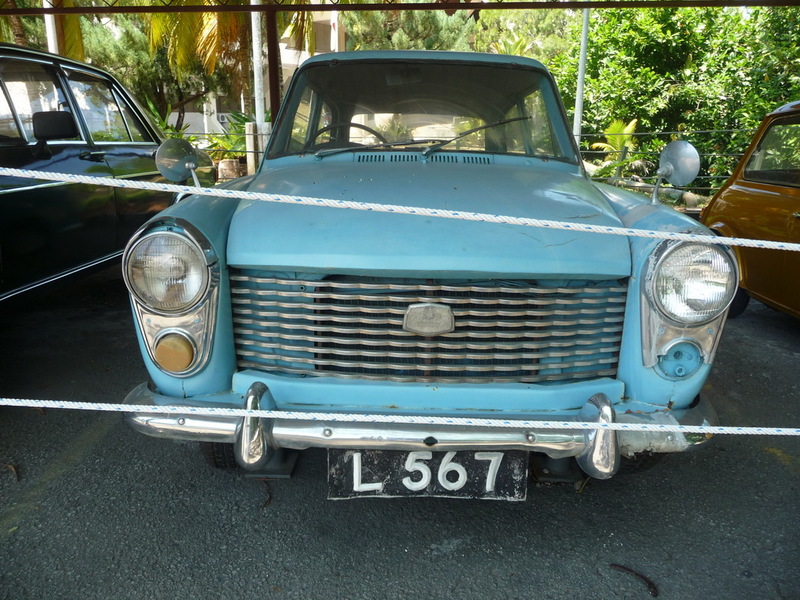 Another Austin, an A40 model, retired to an outdoor museum in Kota Kinabulu, Sabah, but sporting 1960s plates from Labuan Island. 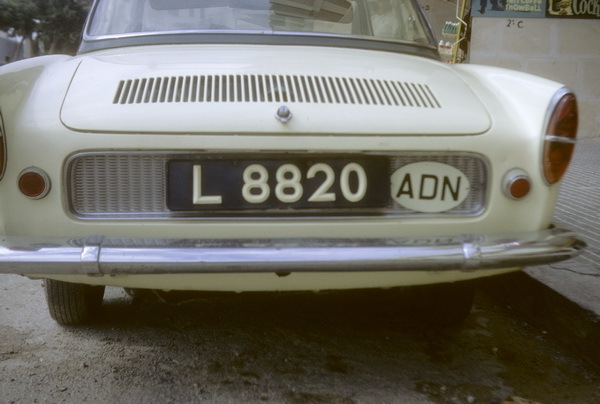 Four numbers this time, but three were issued in Aden Colony in the 1960s. 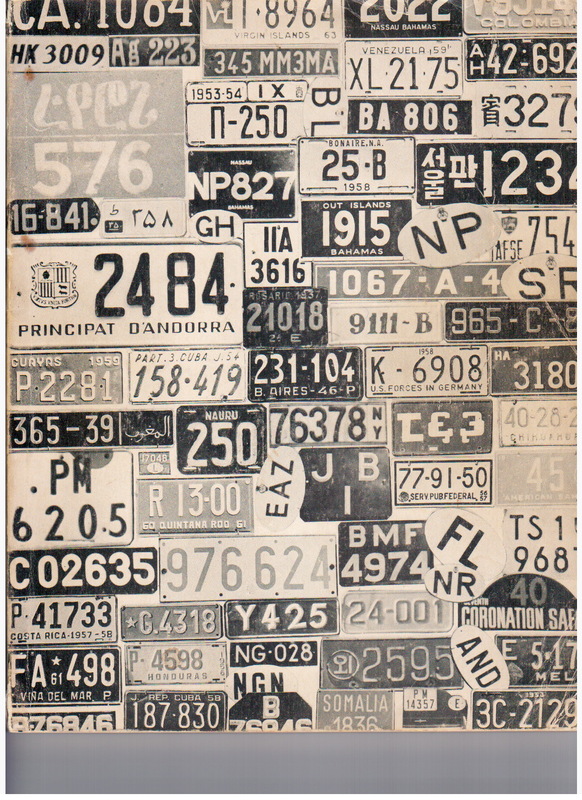 A Keith Marvin Aden image from his 1963 *book, ‘License (sic) Plates of the World’ – possibly the first volume dedicated to xeno-autonumerology! *Keith Marvin’s rare book, which brought many worldwide collectors to each other’s notice, which in turn, helped to form long-standing associations. 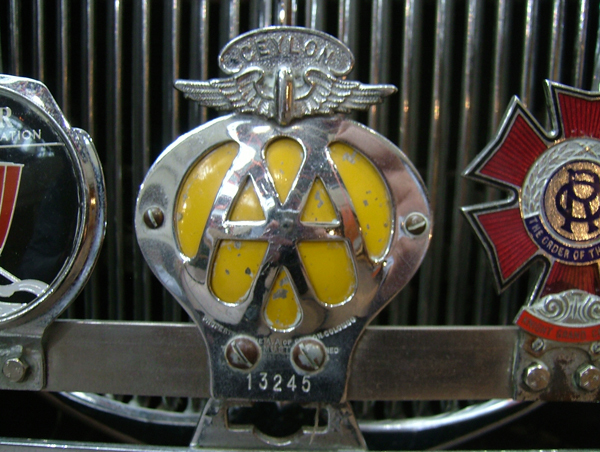 A famed and very prolific writer on automobilia in the US, he died only about 2011, aged over 90. 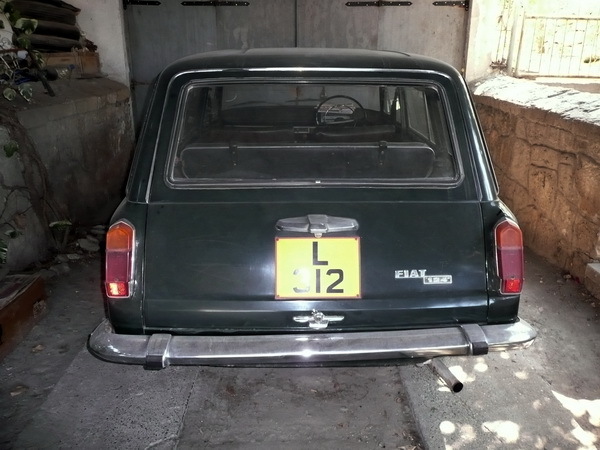 You are currently browsing the archives for the Northern Cyprus category.